I've recently fallen in love with sheet masks - where have they been all my life!? Last night I tried out Perfective Ceuticals' Divine Brightening Mask* ($39/5 masks), and I have to say that I loved it! I honestly just love the relaxing, calming feeling that a sheet mask brings, and I think that it's a great way to help you unwind at the end of the day/week. Also, I'm warning you now about the scary mask picture coming up! 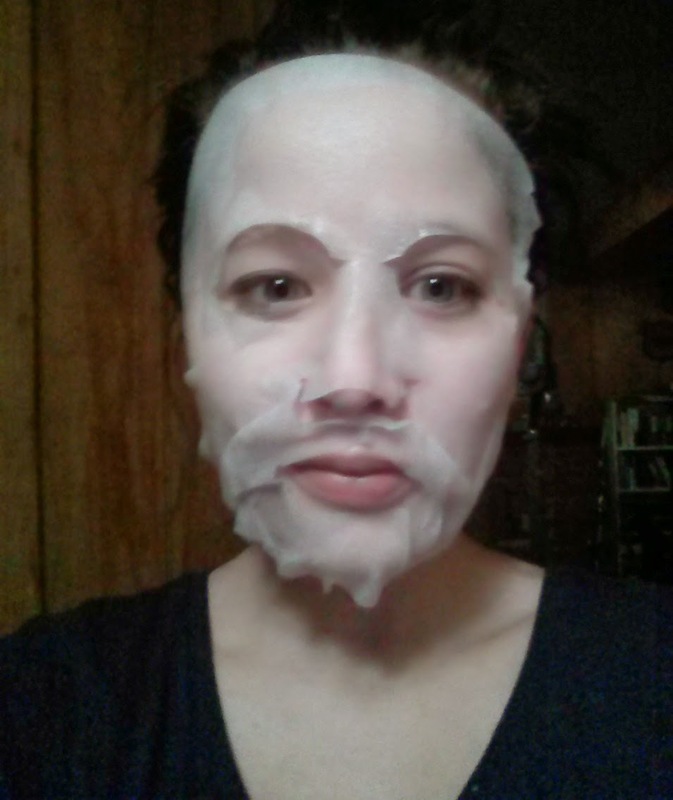 Perfective Ceuticals' Divine Brightening Mask is a white paper mask that was easy to fit onto my face. This mask was a bit larger than my face, so I think that it will work for most people. The cutouts for the eyes, nose, and mouth were placed nicely, and you can easily fold or manipulate the thin mask to fit your face nicely. This mask has a nice, light scent to it, that I can't quite pinpoint. I don't think that anyone will find this scent offensive or overwhelming. It is recommended to leave this mask on for a full 30 minutes, so set aside some time to pamper yourself. I like to light a candle & watch some Youtube videos or paint my nails while I mask. I love how cooling this mask feels on my face, and the sheet has just the right amount of liquid on it. The product doesn't drip down your face & neck, and it also isn't too dry - the perfect balance! After the 30 minutes are up, remove the mask and massage in any remaining product. I then take the mask and rub the excess product into my neck, chest, and hands. This mask worked to lightly hydrate my skin, and it brought about a beautiful glow. I think that this mask would be great to use before an event, as it really did help brighten my skin! I LOVE sheet masks, too -- they are super convenient, and the added bonus of looking especially weird is always a fun thing...this one sounds lovely. I really enjoy serum-based masks, especially. I've never heard of this brand before, but this mask sounds great! YES!!!! I love face mask pics. I have never heard of this brand. Love the mask pic! It sounds like a very pampering mask.